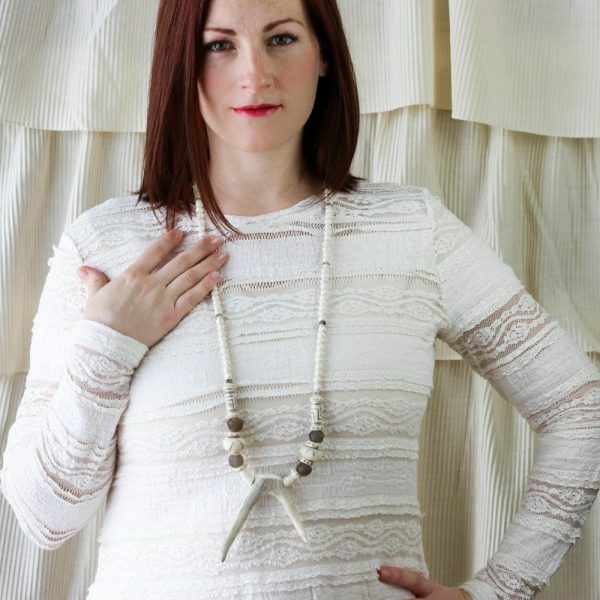 Long Ivory Howlite Beaded Necklace with Deer Antler Necklace Necklace with Ivory Howlite beads. . The perfect finishing touch for this season’s boho look and you will definitely get noticed. 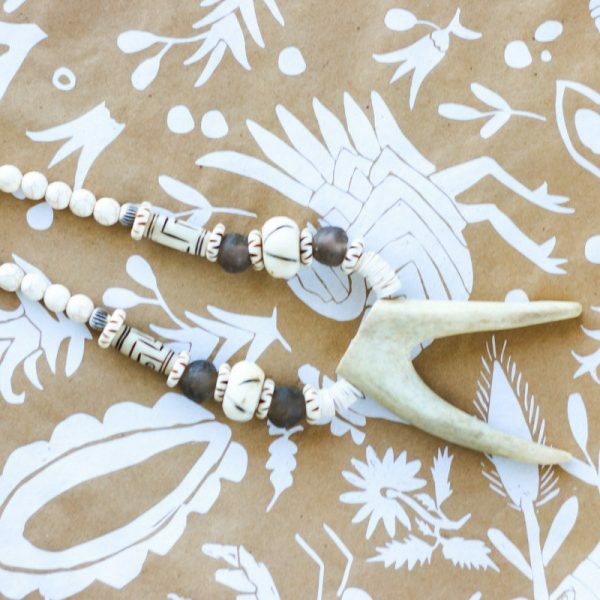 The length of the antler necklace is 36″ plus 3″ for the antler. Or choose leather straps as shown in last photo. We get our antlers from Oregon. Deer shed their antlers every year and grow new ones. The shape of the antlers may vary. All our pieces arrive in custom made jewelry pouches so they are ready to be given as a gift – even if that gift is to yourself.